Leo Kouwenhoven (1963) is a professor in Applied Physics specialized in the field of Quantum NanoScience. 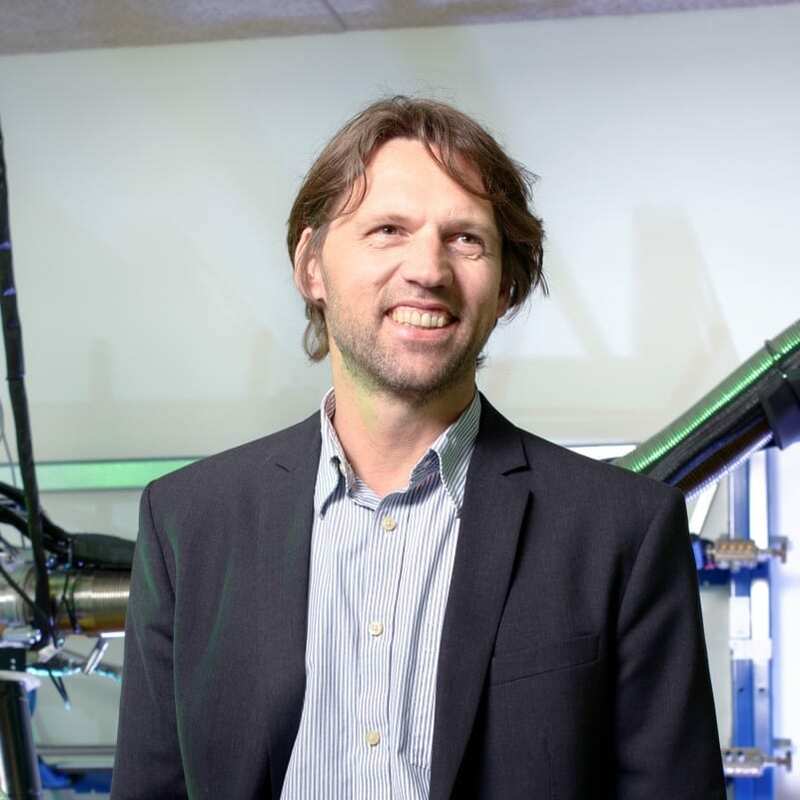 Kouwenhoven got his PhD in Mesoscopic Physics from TUDelft (1992). He was a postdoc researcher at the University of California at Berkeley (1993 and 1994) and a visiting professor at Harvard (2000/2001). Highlights in Kouwenhoven’s career include the discovery of conductance quantization in quantum point contacts (1988), Coulomb blockade in quantum dots (1991), artificial atoms (1996), the Kondo effect in quantum dots (1998), Spin qubits (2005), induced superconductivity in nanowires and nanotubes (2005,2006), spin-orbit qubits in nanowires and nanotubes (2010, 2013) and Majoranas in nanowires (2012). The current focus is on topological effects in solid state devices such as the emergence of Majoranas and topological qubits. The beauty of quantum technology is that by design a physical system obtains special quantum properties and that one can fully control these properties. One direction involves circuits of quantum devices that exploit superposition and entanglement to perform logic gates. This is quantum engineering to the extreme! A second direction is designing materials systems and device layouts such that the resulting collective electronic behavior has special properties, such as the emergence of topological states and Majoranas. Our current challenge is to operate Majoranas as qubits and manipulate the qubit states by exchanging Majoranas, i.e. a braiding gate, and demonstrate non-Abelian statistics. That is a mouthful for saying that Majorana qubits are protected against decoherence. If it all works well, this solves the challenge of quantum decoherence! The concepts of topological states and protection are deep and non-trivial and our experimental approach should clarify which concepts are theoretical only and which lead to special properties in electronic devices. In the end the experimentalists are the judges calling the verdict of what’s right or wrong. But a clear verdict takes a clever design of experiments and this is what I like doing most.